We’d only just covered one fabulous LEGO spaceship which reminded us of the work of Chris Foss when up pops another. 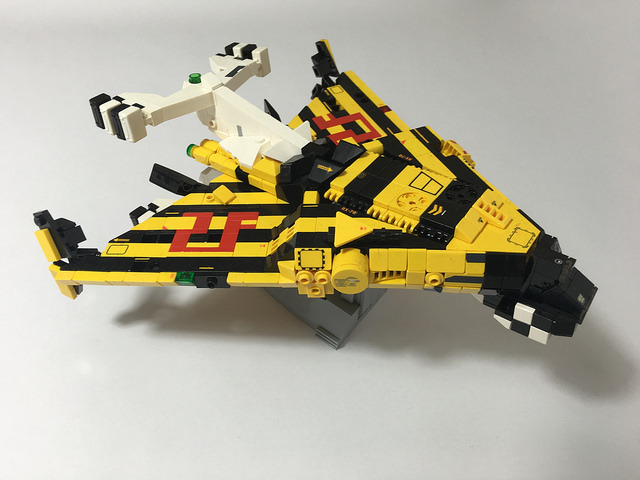 This cool Military Shuttle craft from Gamabomb is clearly inspired by the influential illustrator. It’s got all the signature Foss elements — bold color schemes, chunky striping, chequered patterns, and a wonderful greebly realism in its surface texture. Great stuff.